For those considering moving to Arizona, this guide will advise on what cities are welcoming, how to prepare for our extreme heat, and provide insight on what makes Arizona such a desirable place to call home. The population of the state of Arizona increased by 7.3% between 2010 and 2016. It’s one of the 10 fastest-growing states in the country, with Phoenix being the fastest growing city and Tucson ranked third in the country for job growth. One of the reasons behind this is the cost of living is one of the lowest in the country. Arizona has a reputation of being conservative and passing controversial laws. Arizona has been solidly in the Republican column for years, but recently there’s been talk that the Grand Canyon State could be the newest swing state. Some analysts argue that the fact that around 31% of Arizona’s population is Hispanic means Democratic candidates have more of a shot than in previous years. In fact, one of the friendliest LGBTQ cities in the U.S. is located in Arizona. The Tucson Metro area feels like a small town in a big city!! 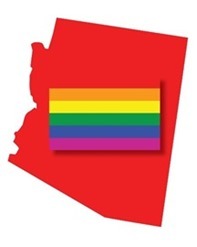 In fact, AARP just voted Tucson one of the Best Places To Live The Simple Life, and Tucson was selected by Businessweek magazine as one of the Best Places to Raise Kids, and ranked 3rd LGBT Friendliest Cities in a Red State by Thrillist Travel. Beautiful mountain ranges, colorful and lush Sonoran Desert landscape, and of course the majestic saguaro cactus are part of Tucson’s everyday landscape. Tucson is a friendly city with just enough activities to keep everyone busy but still keep the city on the edge of being laid back. Tucson is an eclectic city. The history, heritage, and culture goes back centuries, but its eye is on the future. Grassy parks, mountain hiking trails, and bicycle-friendly urban and rural roads create recreational opportunities like nowhere on earth. The University of Arizona is a world-famous tier one research facility with national champion teams in multiple sports. Some of Tucson’s high schools are highly rated at both the national and state level. Restaurants and entertainment choices provide a kaleidoscope of choices and endless variety. Tucson and Southern Arizona have much to offer in career opportunities. Industries and services providers that are experiencing tremendous growth include space exploration, aerospace and defense, and bio-technology. Tucson’s unemployment is below the national average and its growth in total output is above the national average. The cost of living in Tucson is very attractive, with affordable housing choices across the region. Bisbee, 90 miles southeast of Tucson and nestled amongst the Mule Mountains, is the picturesque county seat of historic Cochise County. The community was founded in 1880 and named after Judge DeWitt Bisbee, a financial backer of the Copper Queen Mine. It is ranked as one of the most LGBTQ friendliest small towns in the country. The stars shine brighter in Tucson. A tour of the Kitt Peak National Observatory is a must. Due to Tucson and Pima County’s light control laws, astronomers at the observatory are able to see further into the universe. Tucson is the coolest place for bicycling. Tucson is ranked by Outside Magazine Nations Best Bike Town. 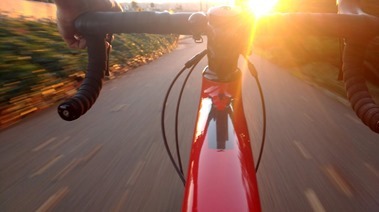 Cyclovia, an annual event which opens several miles of public streets for biking, walking, exercising and other activities is one of the great events for cyclists. In addition, the world famous 107 mile “El Tour de Tucson” ride takes place in November every year. Amazing architecture is the heart of a hipster town. Tucson famous 4th Avenue and downtown are very walkable areas. Take a stroll through the city’s historic Presidio and Barrio neighborhoods to spot some of the area’s beautiful adobe architecture. Mission and craftsman styles are also represented. The University of Arizona Basketball team has a very loyal fan base, especially during March Madness. Wildcat fans have been aching for their second national title since 1997. Oldest Settlement in the Southwest. Tucson is perhaps the oldest continually inhabited settlements in North America. The Hohokam Indian settled here thousands of years ago along the banks of Santa Cruz and Rillito Rivers. 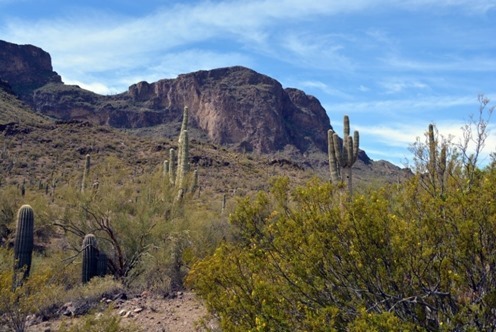 Adrenaline junkies and outdoor adventurers often find their way to Tucson. The desert is made up of thousands of boulders and sheer rock faces. 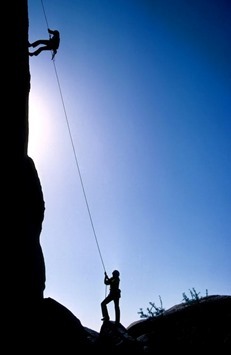 Hiking and climbing at all levels can be enjoyed in and around the city. A happy place for foodies and beer lovers. Foodies will revel in the locally sourced, organic mind-blowing cuisine and local beer and wine options. Chain restaurants are few and far between. Tucsonans prefer local eateries. A rich and well-preserved history. The Arizona State Museum on the University of Arizona Campus is home to the world’s largest and most well-documented collection of Southwest Indian pottery. The Tucson Gem and Mineral Show is the largest show of its kind in the United States, and one of the largest gem and mineral shows in the world. A plethora of gem vendor tents pop up around town during the month of February. Lucky Lindy landed here in the Spirit of St. Louis in September of 1927 to commemorate the opening of the new municipal airport on South 6th Avenue, near the site of today’s rodeo grounds. The Pima Air and Space Museum is one of the largest privately funded, non-governmental aerospace museums in the world. What does that mean? The museum features a display of nearly 300 aircraft spread out over 80 acres on a campus occupying 127 acres. Many flags have flown over Tucson. At many of the historic sites around Tucson, multiple flags are flown. The Spanish flag was the first. Spanish conquistadors explored the American Southwest more than 200 years before America was founded. The Mexican flag followed. Mexico gained independence from Spain in 1821, and Tucson was part of Mexico. The Gadsden Purchase signed by Mexico and the United States in 1854 brought Tucson under United States control and thus, the U.S. flag was the next to fly. From August 1861 to mid-1862, Tucson was the western capital of the Confederate Arizona Territory. The Confederate flag flew over Tucson. 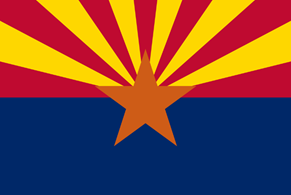 The Confederacy was driven out in 1862 and the U.S. flag was once again flying over Tucson. Spain, Mexico, and the United States have largely influenced and shaped what Tucson is today. Since Confederate control of Tucson was relatively short-lived, its influence in the area is negligible. The last flag to fly is the Arizona state flag. Sources: Human Rights Campaign, U.S. Census, Visit Tucson, Visit Phoenix, Sedona Chamber of Commerce, Arizona Office of Tourism. Preparing for Central & Southern Arizona Summers! The triple digit heat in Arizona can be problematic, and not just to humans and animals but also to automobiles, bikes, and homes. Automobile Prep: When parking vehicles keep the following in mind: When outdoor temperatures reach 110 degrees, your car may reach 220 degrees. A) During monsoon avoid parking near or under trees. B) Crack your windows. C) DO NOT leave children or pets in your vehicle. The heat can kill in minutes. D) Gas up in the early morning or in the evening after dark. Basic maintenance of your vehicle is also imperative to prevent breakdowns in the sweltering heat. A) Check your tires. Tires with low tread can blow easily in the extreme heat. B) Check your battery. The average battery life in the desert is 2 years or less. Outdoor Activities: As they say early bird gets the worm, so it is best to finish errands and outdoor activities before 11:00 a.m. There are news reports almost daily of Fire Departments rescuing stranded or injured hikers. Be smart. Exercise early in the morning and retire to an air conditioned environment by 10 a.m.
Air Conditioning is a Must: Electric bills will elevate during summer months, especially if the thermostat is not set properly. 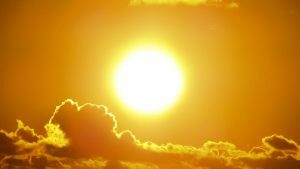 Most new residents set the temperature higher during daytime hours and reduce it dramatically in the late afternoon, thinking this will save money. This method will make the unit work harder during peak hours. This added stress on the a/c unit may result in the need for extra repairs. Below are pointers to help cool homes and save money. Each electric utility company in Arizona offers a savings plan. For example during peak hours from 3 p.m. to 6 p.m. reduce your power use to save money. Consider purchasing a programmable thermostat such as a Nest Learning Thermostat®. They can provide a significant savings on electric bills and also offer peace of mind. This example A/C schedule for setting the thermostat Monday through Friday can help save an average of $40 to $60 each month. Although the manufacturer recommends changing the filter every three months, changing it on a monthly basis will help air flow and allow the A/C unit to run efficiently, especially during summer months. 1. 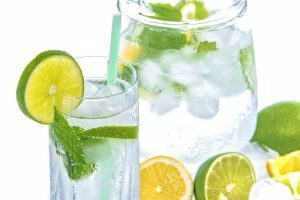 Drink plenty of water, avoid alcohol. 4. Wear light colored clothing. 5. Sunglasses are a necessity.